“The day I lost my father, the call came relatively early. A dry voice, full of official compassion, announced that the night before he had dressed and left the hospital unnoticed, and got hit by a car on his way to the underground. They had no idea where he was going or how he could have got out of the building without anyone asking, but his invisibility was no surprise to me. He was still a charming old man, with just about enough insignificance to make you think he belongs to the place, that he knows perfectly what he’s doing and who he is. But in fact he didn’t, not anymore. Five times out of ten he didn’t even recognise his own family. The only thing that persisted in his memory, like the razor-sharp lines of an iron seal, was the network map of the Berlin S- and U-bahn system. Made possible by the Junge Akademie programme of the Akademie der Künste, Berlin, this book is a collaboration with the Mexican artist Plinio Ávila, who was a fellow of the Academy at the same time as me. We prepared this project for the grand thematic exhibition Wiederkehr der Landschaft at the Academy’s Hanseatenweg venue, which basically featured all kinds of artworks on the theme of the connections and paradoxes between landspaces and urban spaces. 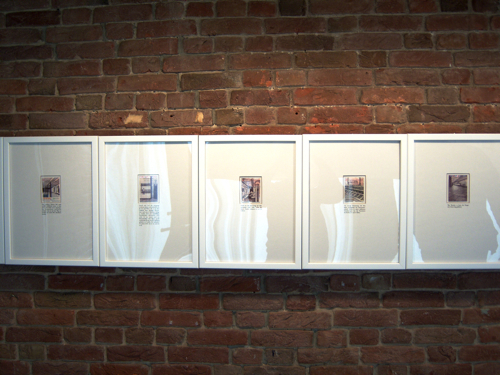 It was originally presented to the public in an exhibition form, showing the 72 original drawings of Plinio on used metro tickets in big frames, with the corresponding passages of my short story printed on the passe-partouts. The books was published by the Academy as an accompaniment for the exhibition, and we hear that it was the bestseller of the Museum Shop! The text was initially written in English, then rewritten by me in Hungarian, and translated (from the English) into German by Stephan Tree and into Spanish by Kelly Aronowitz. The booklet features all the 72 drawings in colour, in the original size, and the text in four languages: Hungarian, English, German, and Spanish – a very international publication indeed. 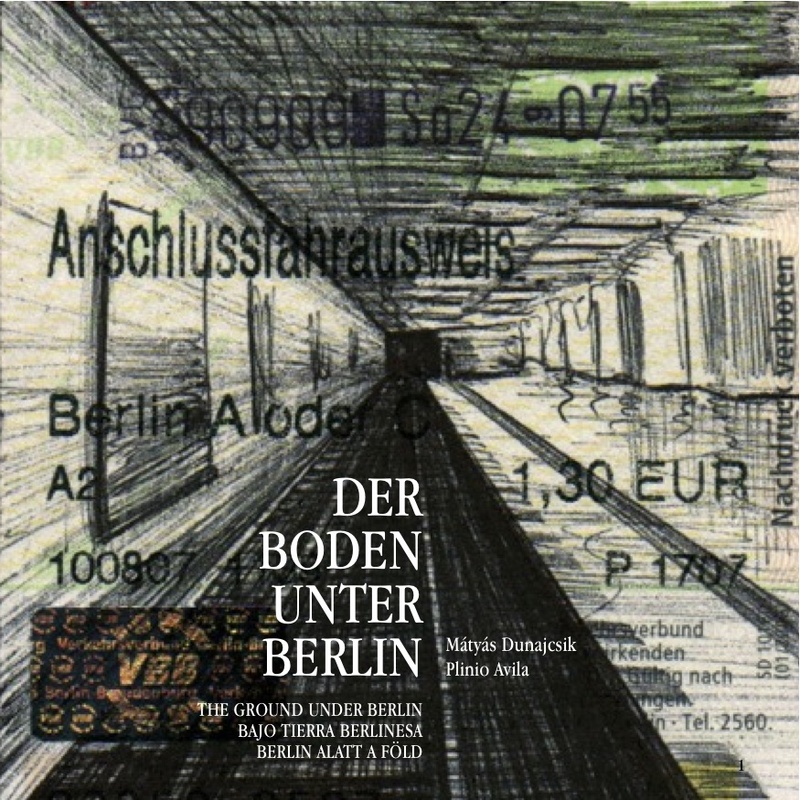 This story, written for the drawings of Plinio about the Berlin U- and S-bahn system, the pride and joy of all Berliners, tells the story of a young man who has recently lost his father, a former driver of the West-Berlin metro, and who is recollecting his memories about him by taking day-long trips under the city, following the footsteps of his deceased loved one.